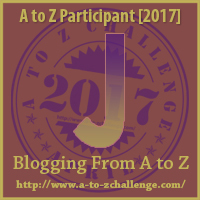 For the purposes of this blogging challenge… Journey is a substitute for Travel Journaling. I love to travel. Since the age of eight when I started French lessons and discovered the beauty of another language, I have desired to see the world. But travel writing is far more than recounting a vacation. 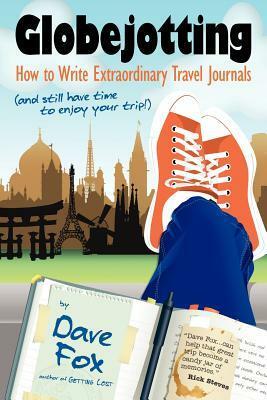 In his fabulous book, Globejotting, Dave Fox talks about various times we can journal about travel: before the trip, on the trip, and post trip. Similarly, I think we can utilize these same journaling concepts when writing about our life journeys. Rather than planning a trip to a specific destination, life journeys are typically measured in milestone events: dating and break-ups; marriage and divorce; birth and death; new jobs and failed attempts. Sometimes these major events happen spontaneously and without warning, but more often than not, we can see them appearing on the horizon. At times like these, the pre-journaling portion is valuable because it is a healthy way to deal with those raw emotions. As we anticipate the joyous moments – our wedding day, the birth of our children, the start of a new job – journaling our emotions and expectations can help us prepare. And in preparing for special days, we can be more present at the events. We envision these moments so clearly, reality is almost a replay. Conversely, we may be apprehensive about other life experiences – the impending divorce, the parent in hospice, the inevitable bankruptcy. Journaling our worries and fears can give voice to the internal struggle. Left to our own devices, our mental thoughts may travel down a road of deep despair. Pre-journaling investigates those dark crevices and perhaps discovers a glimmer of hope. Circumstances may be difficult, but not impossible. Writing in advance of these hard times can help strengthen us as we fight through. My advice to him – and to you – is to journal. During a milestone moment with details to think about and emotions to handle. There isn’t much time to write. Jot down as many observations as possible. Focus on sensory details: what do you see, smell, hear, taste, and feel? Can you find a descriptive metaphor for your emotions rather than one simple, overused adjective? Your full memory of that event will be locked within those details. Distance from the event allows me to view it more objectively. The high points are still vivid in my mind, but the low points have tempered a bit. The same is true for milestone moments. Sometimes all you need is a few weeks to recover. Then you can revisit the event with objective clarity. Sometimes it may take several months. Remember to give yourself grace and not rush the process. Don’t “should” yourself. The right time will present itself. Often during this phase of the travel journaling process, I not only gain an objective perspective for myself, but I also gain the ability to see the experience from the other travelers’ eyes. The passing of time allows me to put myself in their shoes, walk around a bit, and recognize an alternate point of view. Not only can this help to heal an open wound, but it also deepens my understanding of the journey. I LOVE travel journaling. I hope you give it a try… when going on luxurious vacations, when encountering life’s milestone moments, or both. I fill my scrapbooks with journaling as well, as I am a firm believer that the photo only tells half the story. We need to fill in the context…what happened before and after the shutter released. I never thought about journaling about the trip beforehand, but the anticipation is part of the fun. I may have to try that! I've been keeping a travel journal for a few years now, and my style is definitely evolving. I've never journaled while traveling – now I wish I had. No worries, Debby! Did you take photos? Just review a few of them and the memories will come flooding back. If you don't have photos, try to think of just one small moment and write about that. Oftentimes, the small moments are gateway to larger memories. How wonderful it must be to relive the trips through your journals! I agree! I think it is wonderful that we are so rarely without a camera… but I do strongly encourage people to periodically back up phone photos to your computer. And dare I say… print out a few 🙂 Hard copy photos with a few words of journaling allow us to relive the trip – and share it with others. I am most consistent with travel journals. However, I had not thought about journaling the preparation before the journey. I hope you give it a try – I really enjoy it and I know it helps me appreciate the trip even more.